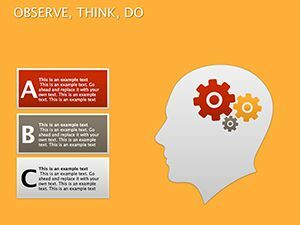 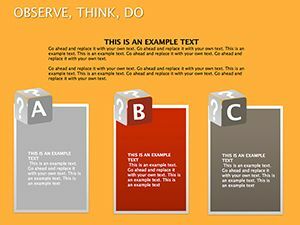 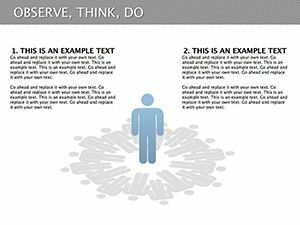 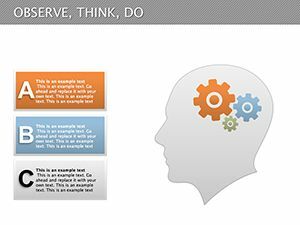 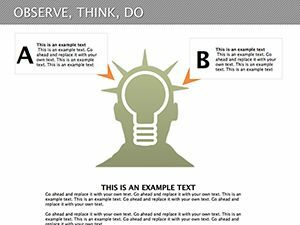 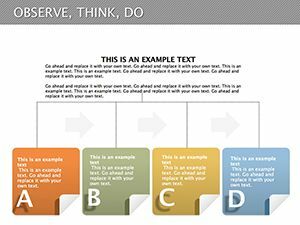 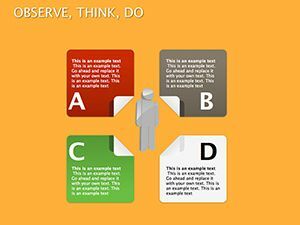 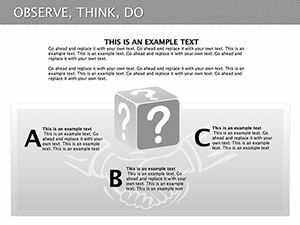 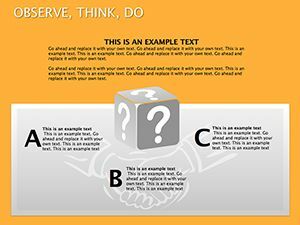 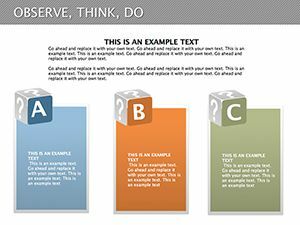 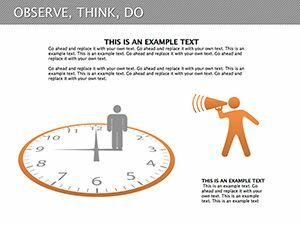 Observe, Think, Do Keynote diagrams - knowing even accurate knowledge not often leads to right action, because it cost us to relax, and we immediately forget what we know, or stop to think how to use it, even if we - experts. 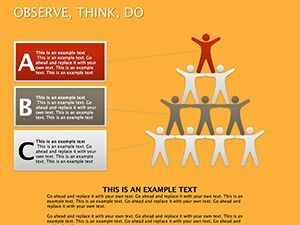 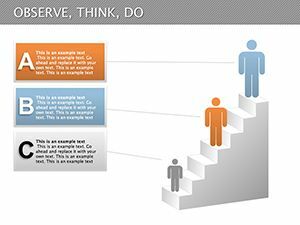 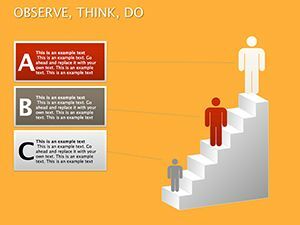 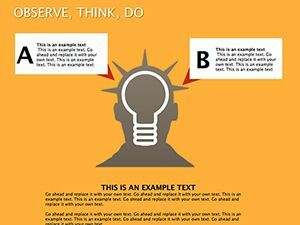 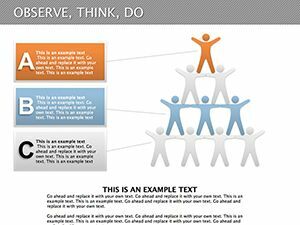 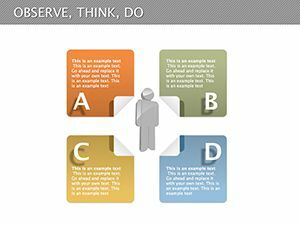 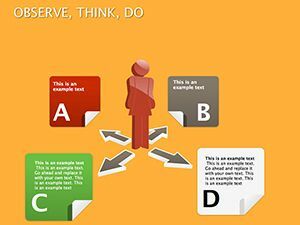 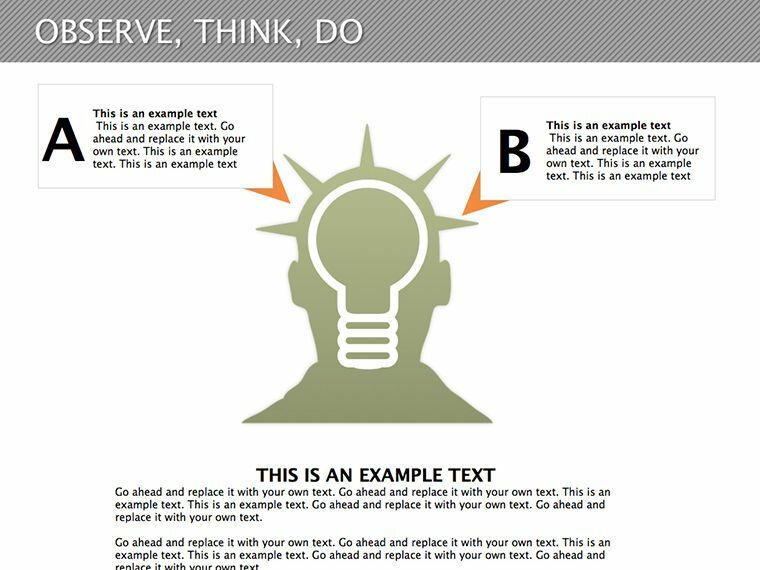 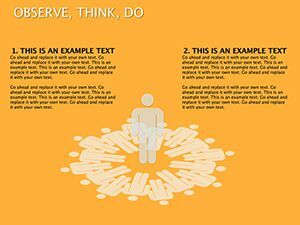 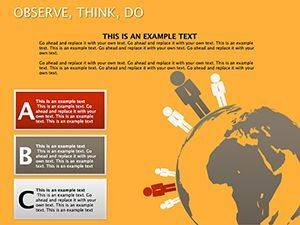 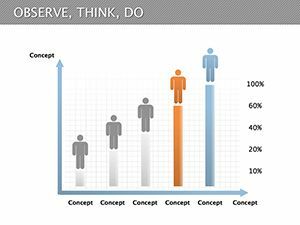 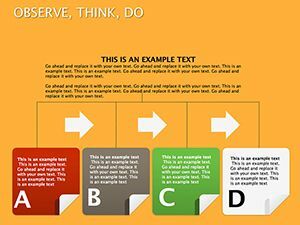 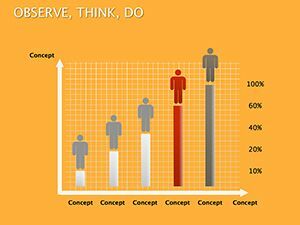 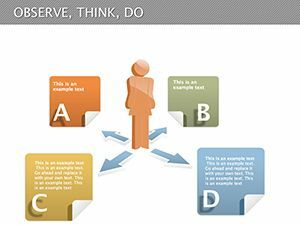 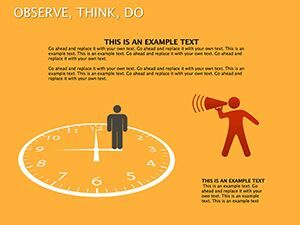 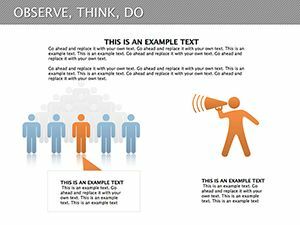 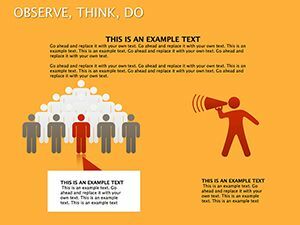 Observe, Think, Do Keynote diagrams can show information team about what a person thinks that he plans to do, and also displays the social aspect of human life. 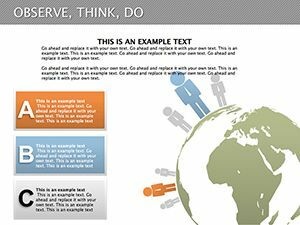 In the .zip file contains 28 editable slides.